The March issue of Tabletalk is out. 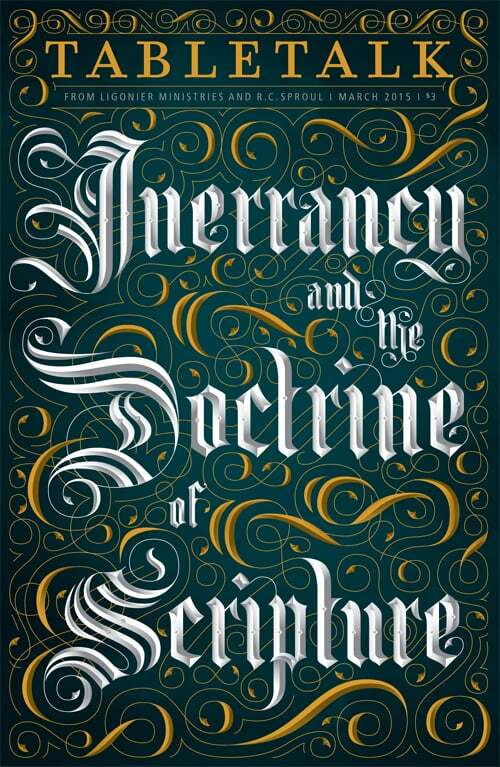 This issue will explain the doctrine of Scripture and, more specifically, the doctrine of inerrancy. God gave His written Word to His people as their only infallible rule for faith and life. Its authority outranks all other authorities in this life. It is thus essential that Christians have a right understanding of Scripture and what it means that Scripture is inerrant. This issue of Tabletalk will demonstrate a robust doctrine of Scripture, explaining the meaning and significance of the doctrine of biblical inerrancy. Contributors include R.C. Sproul along with Kevin D. Gardner, Stephen J. Nichols, Keith A. Mathison, Michael J. Kruger, Terry Johnson, R.C. Sproul Jr., Phil Johnson, Nick Batzig, Aimee Byrd, and W. Robert Godfrey. The Vox Dei by R.C. Sproul Jr. The May issue will address the central importance of doctrine. The June issue will expound on the Ten Commandments, emphasizing what each commandment requires and what each forbids according to the Westminster Shorter Catechism.